Found it cheaper? Click Here. Make the upgrade to the 78888 in-ground basketball system. 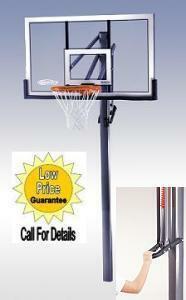 This basketball hoop features a 54 inch acrylic backboard, a 4x4 square pole, and a breakaway rim. 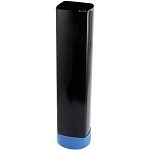 The soft square pole shape provides greater stability in the ground compared to round poles. 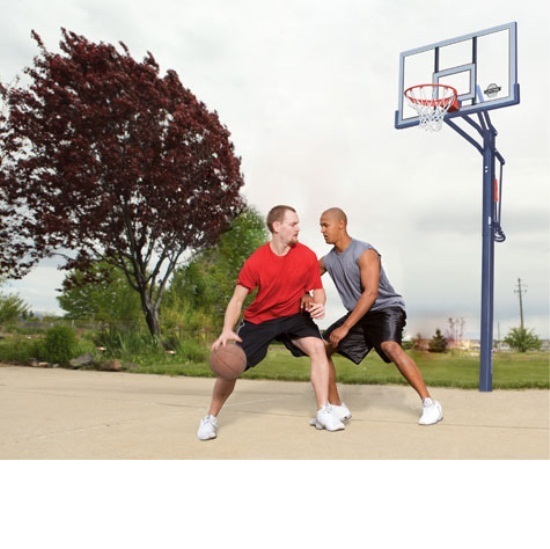 Acrylic backboards are ideal for home driveway basketball courts as they hold up much better to aggressive and abusive play. 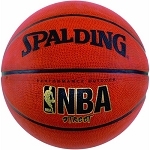 The Slam-It Pro rim holds up well to dunking and aggressive basketball play. This system comes with a 5-year warranty from Lifetime Products. All steel parts of the system are powder coated to help the metal resist rusting. The 78888 also includes an all-weather white net. All major components of the system are Made in the U.S.A. This product has a 30-Day Money Back Guarantee. Simply hang onto the original packaging and contact us within 30 days of receipt if you are not satisfied with this product. We will have the item picked up at our cost and refund you in full. We are that confident you will love this product! 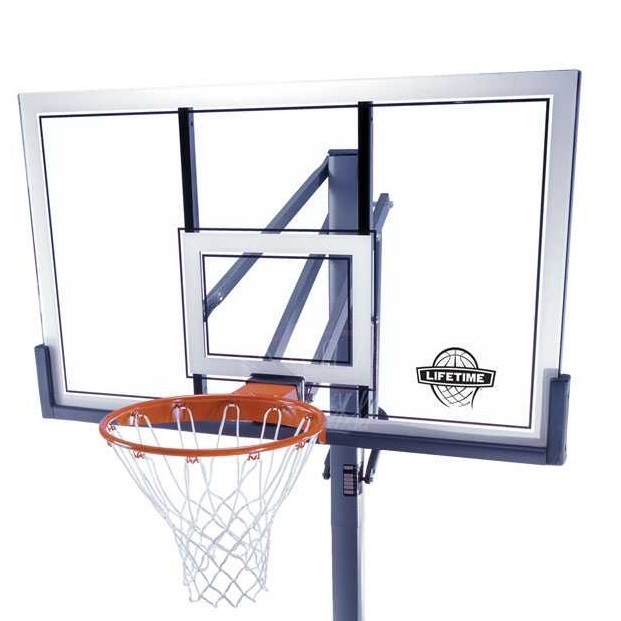 Dimensions: 54 inches W x 33 inches H.
Steel backboard frame thickness: 1.5 inches. Backboard material thickness: 0.2 inches (4.75 mm). 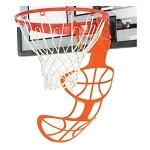 Comes with a regulation-diameter, 18 inch orange breakaway rim, and all-weather white net. Standard 12 loop net design. True breakaway mount. Holds up well aggressive play. Steel metal net hooks are welded to the rim. No plastic clips. Pole size: 4 inch square. Powder coated steel helps pole resist rusting. Pole cap included to help prevent rain water for getting inside pole. Height adjusts using Power Lift mechanism. 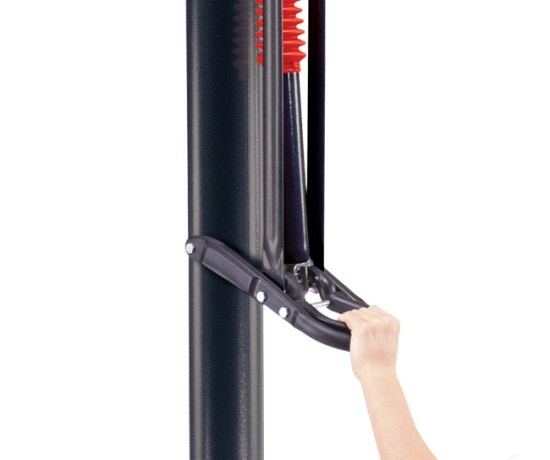 Rim height adjusts from 7.5 feet to 10 feet in infinite increments. Power Lift mechanism uses a handle on the back of the pole to raise and lower the hoop. This mechanism can typically be operated with just one hand. Comes with a 5-year warranty from Lifetime Products. Shipping dimensions: 54.5 inches x 34.31 inches x 6.2 inches. Everything was A OK - Thanks! This item is in perfect condition and we love it. Directions were fairly easy to follow. Competitive Edge is a great company and I did receive the product as ordered. I also purchased the 4" ground sleeve and this was a must for the type system (makes installation easier). I would highly recommend this system. 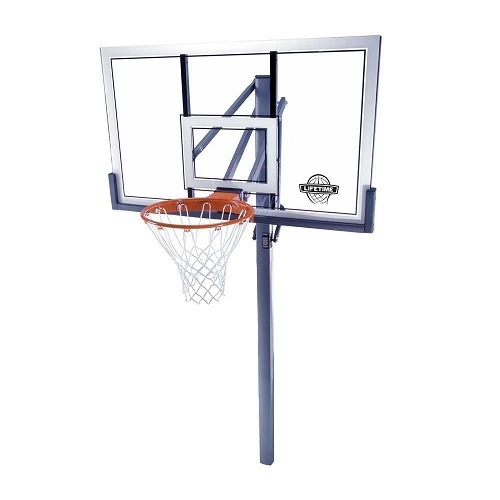 Q: If I need to purchase a replacement backboard and rim for this system, where can I go that? A: This backboard has a special configuration the bolt pattern on the backside. The only place to get a replacement back for model number 78888 is by calling 800-225-3865. Feel free to contact us with any other questions. Q: What is the overhang length from pole to playing surface? A: The offset from Pole to backboard is 25"
Q: What is the difference between acrylic and tempered glass? A: Acrylic is not as rigid as tempered glass, and tends to hold up better in more abusive conditions. Q: What is the difference between the 78888 and the 71525? 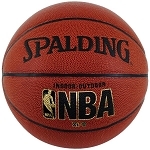 Fast Shipping: Orders for the 78888 Inground 54 Inch Lifetime Basketball Unit generally leave the warehouse the next business day. Accurate Tracking: Tracking information is automatically emailed to you just as soon as the order ships out. Delivery Details: This product ships directly from Lifetime Products in Clearfield, UT. This item ships via FedEx and may not require a signature. Signing for the Package: When signing for the delivery it is important to note any damage. Damage is extremely rare. We package these to travel both domestically and internationally. However, sometimes the packaging may be slightly damaged, but you may not be sure whether something inside is damaged. In such a case it is a good idea to sign for it and have the driver note it as such. You can still accept delivery. Call or email us with any questions. Local Pickup Option: This item is available for local pickup in Clearfield, Utah. If you are interested in picking it up locally contact our customer service for a special pickup quote at 866-308-5484. Please note that items must be in their original packaging and in the original condition for this return policy to apply. Also, please be sure to contact us within 30 days of receipt. Lastly, if you are unsure whether this product will fit your needs please contact a customer service expert toll free at 866-308-5484. Dimensions: 55" x 34" x 6"
Copyright Competitive Edge Products, Inc sold by Competitive Edge Products, Inc. All Rights Reserved.